The DELTAs atop Mount Inasa, in Nagasaki. 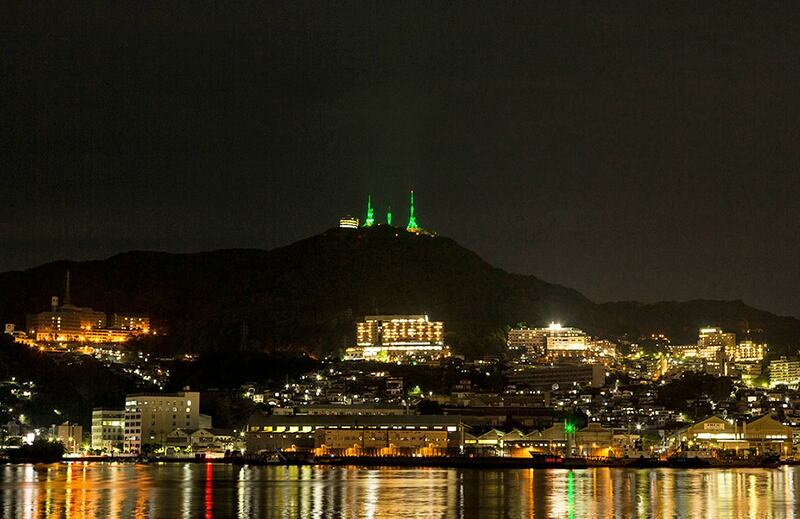 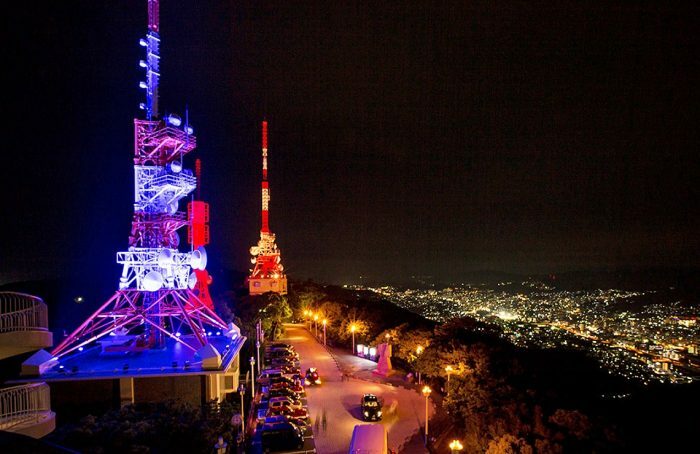 Mount Inasa is a 333 m high mountain overlooking Nagasaki city. 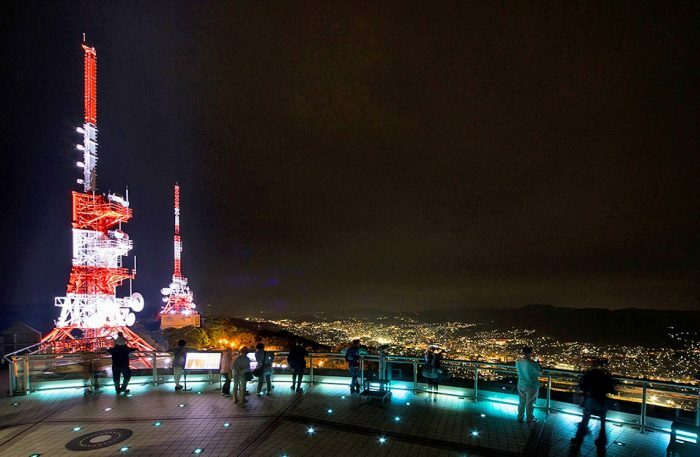 On the top of Mount Inasa there’s an observation platform very popular among tourists, as it provides spectacular views of Nagasaki. 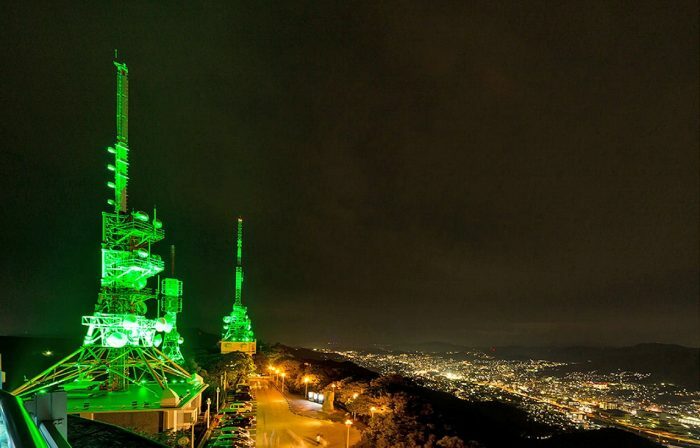 Also, atop Mount Inasa rise several buildings that house transmitters for TV and radio stations that serve Nagasaki and the surrounding area. The three large broadcast towers have recently been turned into colored beacons that can be seen from miles around: 20 units of DELTA 8 LED projectors by DTS have been installed at the base of each of the three towers, lighting them from the bottom up. 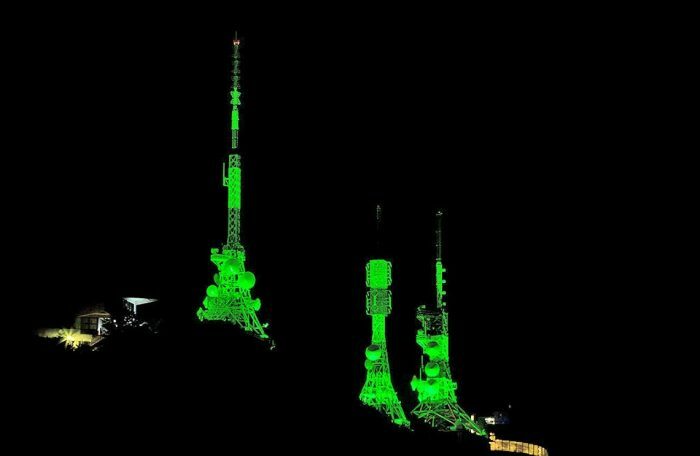 The lighting is dynamic; in fact the projected colors will change according to the season: green in Spring, light blue in Summer, orange in Autumn, red in Winter.